The National Policy on Women's Development 2011 is a step in the right direction but needs to be effectively implemented through proper budgetary allocation, argues DR PRATIMA PAUL-MAJUMDER. The National Policy on Women's Development 2011 ushered in a new era of hope and enthusiasm for achieving gender parity and empowerment of women. The policy will not only elevate the condition of the women of Bangladesh, but will enhance the position of our country among the community nations, because its goals are aligned with the internationally acclaimed Millennium Development Goals (MDGs). The challenge now is to implement the policy -- the policy will remain a paper document unless it is put in practice; the goals will remain unfulfilled unless practical benefits are realised by women and the society from the policy. To meet this challenge, appropriate implementing measures must be undertaken. The National Budget is the most powerful tool in the hands of the Government in this context. We, therefore, look forward to the National Budget for FY 2012-13. We hope that it contains sufficient implementing measures to put in effect the National Policy on Women 2011. This article highlights the important provisions of the policy and enlists a number of implementing measures with the ardent hope that future budgets of the country would consider incorporating them. Provision 16.22: Providing overall assistance for ensuring the promotion of women entrepreneurs. 1. Measures in the revenue budget in the monetary field to foster and increase the access of women to resources: tax incentives to commercial banks to encourage them to offer loans to women entrepreneurs without collateral; allowing women entrepreneurs to use their jewellery as collateral for loans; etc. 2. Taxation measures as affirmative action to channel the flow of resources to women entrepreneurs directly: no taxes on the income, property and capital of women entrepreneurs; allowing joint ownership of houses for both husband and wife, and letting the wife to pay property tax on her part of the owned houses; exempting the property given to women as gifts from gift tax; etc. 3. Providing tax breaks and tax holidays to the enterprises under the ownership and management of women. 4. Simplifying the process of issuance of TIN certificates and making it easier for women entrepreneurs. 5. Removing the impediment of the absence of facilities for profitable marketing of the products of women entrepreneurs, a development project should be undertaken to introduce a trading system for such marketing; tax incentives should be provided to the private sector to develop such a trading system in parallel and to IT entrepreneurs to collect and disseminate marketing data and establish data centres for this purpose. 6. Affirmative actions should be undertaken in the revenue budget facilitating women entrepreneurs' access to gas, electricity and telephone services. Provision 23.5: Equal opportunity and participation of women in employment. Provision23.7: Equal wages for men and women workers, increased participation of women workers in the labour force ensuring equal opportunity and security for women in the workplace, removal of disparity in the labour force. The essential factor for achieving these two goals, also parts of MDGs, is to enhance the skills of women. Unless women possess skills and capabilities, the opportunities in the workforce do not translate into realities. Following budgetary measures can help enhance the skills and capabilities of women. 1. Centres for women's technology training can be established through the development budget; the private sector can also be given incentives to establish such centres. 2. Special measures can be financed through the budget for rural women who comprise 80 percent of women population -- technology training centres aimed at rural women can be established. 3. A “programme for guaranteed training for 100 days” can be adopted following the model of the “programme for guaranteed employment for 100 days”. Budgetary measures can be taken to establish digital exchange and growth centres in the villages where they do not exist as yet. 4. The inequality and disparity in the labour force in respect of women's participation can be reduced with appropriate assistance to them. Such assistance can be given in the areas of transportation, residential facilities, recreation facilities, sanitary facilities, etc. The National Policy on Women 2011 in its Provision 23.11 deals with such assistance, and that Provision needs to be implemented effectively. 5. Transportation is a special area where women workers need assistance. Budgetary measures can be taken, aimed at reducing scarcity of transportation services, reducing the costs of transportation and ensuring safety and security of women workers in the transportation system. Such measures can include: reduced fare of women workers in the BRTC buses; reduced taxes and tariffs for private sector transportation providers to ease the transportation problems of women workers; tax and tariff incentives for CNG-run vehicles; and larger budgetary allocation to the Administrative Department to ensure the safety and security of women workers. 6. Budgetary measures can also be taken regarding child care facilities, arrangements for women workers on maternity leave to stay in touch with work matters, health care centres for women workers, etc. Provision 21.1: Implementation of National Education Policy of 2010 to promote education among women, to remove gender disparity in education, and to involve women in the mainstream of development efforts. The national budget for FY 2010-11 had certain provisions aimed at these goals, such as, increasing the number of classrooms in primary schools. Unfortunately, the national budget for FY 2011-12 is silent about any such measures. In primary education, national budgets can take further measures addressing the issues of increasing the number of primary schools, making infrastructural improvements in these schools, increasing allocation for primary education to align with the new policy of extending primary education to Class VIII, and training for primary school teachers. Our nation has made commendable strides in the areas of primary and secondary education and gender parity at these levels. However, there is a crying need for removing gender disparity in higher education, which calls for budgetary measures. Such measures can include: free tuition for women's higher education; safe residential facilities for women students pursuing higher education; easy access for women to vocational education and skill training through a special budgetary allocation and awards of scholarships; establishment of vocational training institutions for women only at the district and upazila levels; and establishment of computer training centres and English Teaching Centres for women to facilitate their access to the IT sector. Provision 34.3: Reducing the rates of mortality of pregnant mothers and infants. Although over the past decades Bangladesh has made progress in reducing the mortality rate of pregnant mothers, the rate of progress is so low that the projected rate for 2015 is 290 pregnant mothers' mortality per 100,000. This will fall far short of the MDG goal of the rate of mortality of pregnant mothers of 144 per 100,000. To achieve the MDG goal of the rate of mortality of pregnant mothers, following budgetary measures should be taken. 1. At the very outset, the intention of the government to reinstate the community clinics needs to be given practical effect. 2. A project should be included in the development budget to create mobile clinics to provide facilities for safe delivery. 3. Budgetary measures should be taken to ensure the services of women doctors in the primary health care centres by increasing their salary, and by improving the safety and security situations in respect of their residence and mobility. 4. Budgetary measures should be taken for training nursemaids and to increase the number of trained nursemaids, including the re-instatement of the training system which was developed in cooperation among governmental and non-governmental organisations. 5. Budgetary measures should be taken to stop child marriage. In this respect budgetary incentive in the form of marriage allowance may be provided to poor parents to refrain them from arranging marriage of their daughters before they turn 18 years old. 6. The scope of the Maternal Health Voucher Scheme should be widened. Provision 31.4: Taking steps to ensure equal opportunity for women agricultural workers in respect of raw materials, seeds, fertilizers, farmer's cards and loans. The National Policy on Women 2011 took a revolutionary step to recognize women's labour. Several Provisions of the Policy, including provisions 23.9 and 23.10, reflect this principle. 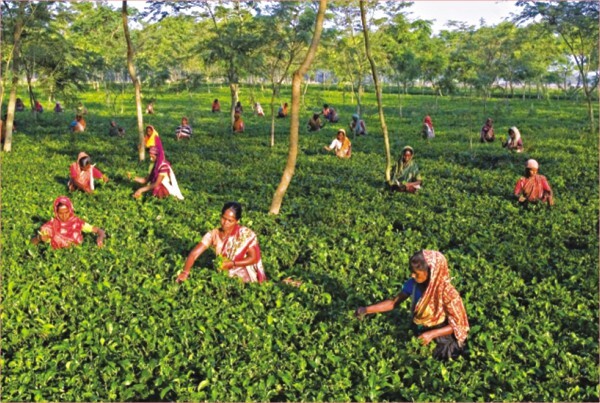 There are other provisions in the National Policy on Women 2011, which address the issue of equality between women and men agricultural workers. Provision 31.1 envisages directly the recognition of the labour of women agricultural workers in the national economy. Provision 31.2 calls for assistance to women agricultural workers in removing the obstacles created for them by climate change and natural disasters. Removing the disparity in the wages of women agricultural workers and ensuring equal pay for equal work is envisaged in Provision 31.3. All these provisions can be achieved only when women's labour is recognised institutionally and a valuation is put on it. For this purpose, Labour Force Survey of the country should collect gender-disaggregated data in every socio-economic field and to this end an allocation has to be made in the next budget for the Bangladesh Bureau of Statistics (BBS) to formulate the methodology of this survey and to carry out this survey. Several other budgetary measures should be taken to implement these provisions. These include: allocating quotas for women in the projects in the agricultural sector; developing separate projects for women only in respect of agricultural raw materials, seeds, fertilizers, farmer's cards and loans; earmarking for women the lion's share of the budgetary allocations in the agricultural activities where women provide 60-80 percent of total labour (potato growing, raising chickens and ducks, raising cows and goats, etc. fall under this category); taking budgetary steps to promote household gardening which is traditionally the domain of women and which, at the same time, fulfils a large part of the nutritional needs of the household; taking budgetary steps to provide agricultural loans to women; and taking projects for refrigeration facilities and entrusting the responsibility of maintaining them to women. We have already noted that several Provisions in the National Policy on Women 2011, especially Provision 23.7, Provision 23.11 dealing with transportation system, residence, rest and recreation areas, washrooms and day care centres for women workers in the economic activities which employ women workers in large numbers, and several Provisions under the topic of “Residence and Shelter” for women workers, address the issue of opportunities for women workers and the removal of wage disparity. Unfortunately, in the National Policy, there is no topic on “Women and Industry” comparable to the topic of “Women and Agriculture”. This leaves a significant gap in the National Policy on Women 2011, which is unfortunate in view of the fact that lately there has been a rapid growth in the number of women workers in manufacturing and construction. Thus, the issues of occupational health hazards, low wages for women workers and need for training of women workers in the industrial sector have remained unattended. In respect of Provision 34.3, mention was made of the need for health care centres for women. The scope of the measures for health care can be widened to address the needs of women workers in general. In the manufacturing and construction sectors, there is an urgent need for addressing the issues of occupational health. 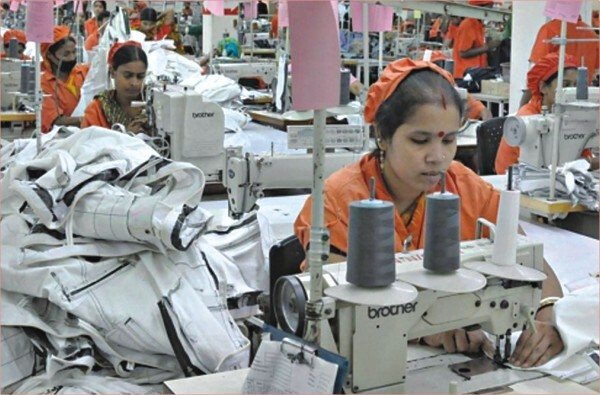 Despite certain gaps, the National Policy on Women 2011, sets forth a number of important policies in various areas for the improvement of the conditions of women in Bangladesh. It is a highly commendable initiative of the government. However, the policies can benefit women only when they are implemented and put to effect. A possible array of implementing measures can be taken through the national budget. This article lists such measures with the hope that future national budgets would formulate them, and thereby translate the Policy document into practical real-life benefits for women. Dr Pratima Paul-Majumder is senior research fellow, BIDS.